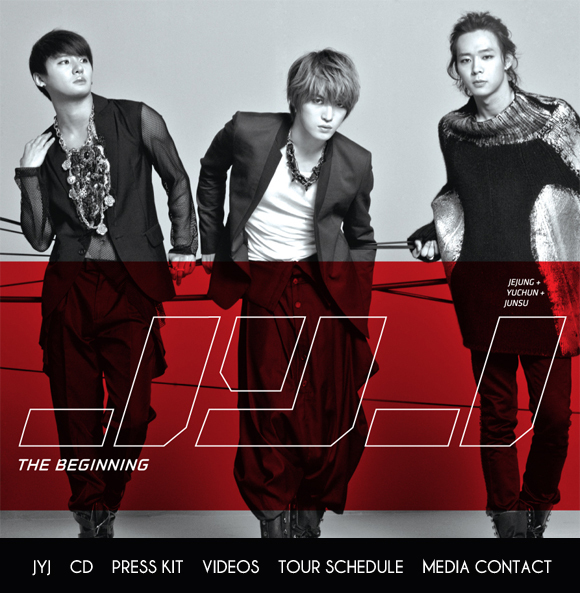 JYJ set for global debut with "The Beginning"
And they may be coming to a city near you! It is known that the DBSK trio of Jaejoong, Yoochun, and Junsu has been working on a full-length album set for a global release. The trio has teamed up with the likes of Rodney Jerkins, Jae Chong, and Kanye West in preparation for this album. Despite the recent news of the trio’s legal troubles with Avex and CJeS Entertainment, it appears that they have nonetheless received the OK to go forward with their album promotion activities. Entitled “The Beginning,” the album will be – hold your breath, readers – “a first for the group to release an English language album.” The members hold composition credits on three of the eleven tracks on the album. Additionally, the trio’s promotional single, entitled “Ayyy Girl” (WHAT THE BAK) was written and produced by Kanye West. My emotions are so mixed about this IDEK. The biggest DBSK fangirl (of all time, yo) side of me is screaming her little heart out because they’re gonna be in freaking New York City maybeprobablyhopefully…but the logical, former DBSK fangirl side of me is wincing at the album pic, wincing at the name of the leading single, and wincing at my own sense of doubt that this whole schtick won’t be as gloriously awesome as expected. Meh. Now if Kanye tweets about it, then it’s a whole different story, yo.